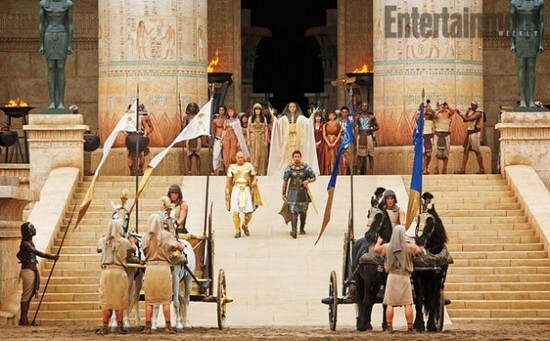 Production stills from Ridley Scott's new epic EXODUS : GODS AND KINGS. Looks...well...it's a Ridley Scott film so they usually look good but his last films were all underwhelming or point blank terrible so I'll wait until this comes out. Many have already criticized the film for being too 'white'. 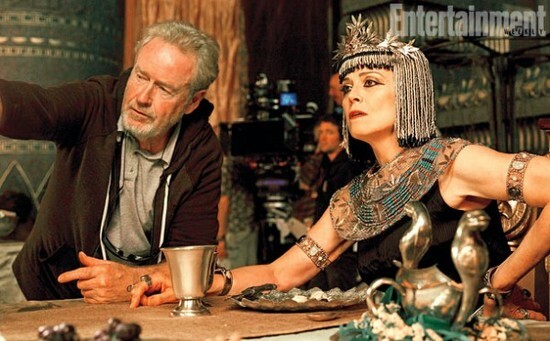 Sigourney Weaver takes direction from Ridley Scott. Well.. I feel like; haven't we already seen this done quite a few times -better, probaly? 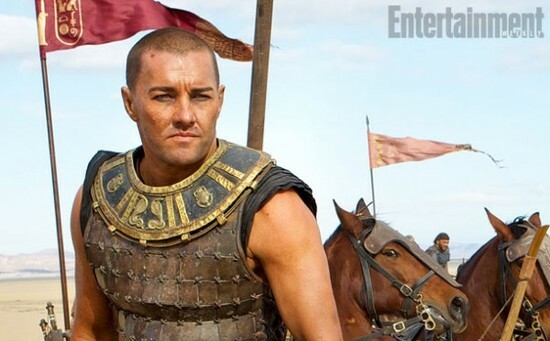 I like the TV Mini Series the best of all Exodus movies so far. This seems to be a very Big-Budgeted Epic with plenty of very good actors in supporting roles. Scott and company have been asked to do DAVID AND GOLIATH, and that would even be more interesting. I would like to see a movie made about the life of Constantine and his rise to Emperor. I liked CONSTANTINE AND THE CROSS even though only bits and pieces were from History. He is definitely a great historical figure who helped the early Christians.